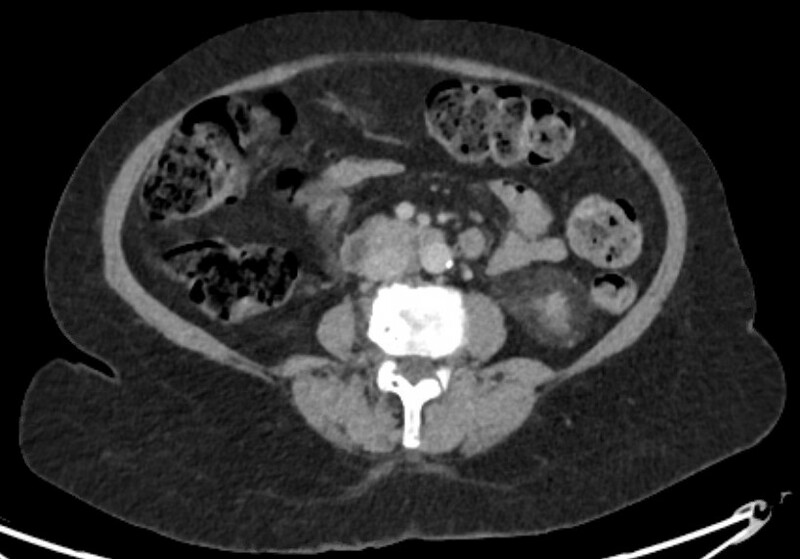 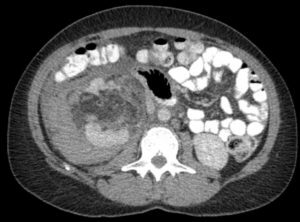 There is a large peri-nephric haematoma. 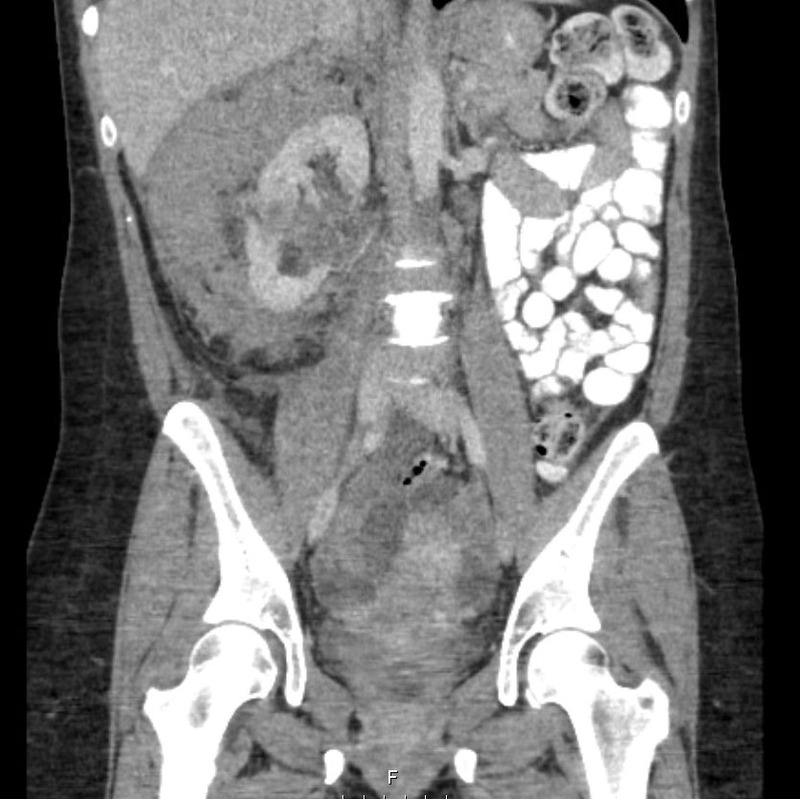 There is a large heterogeneous mass arising from the right kidney which contains fat. 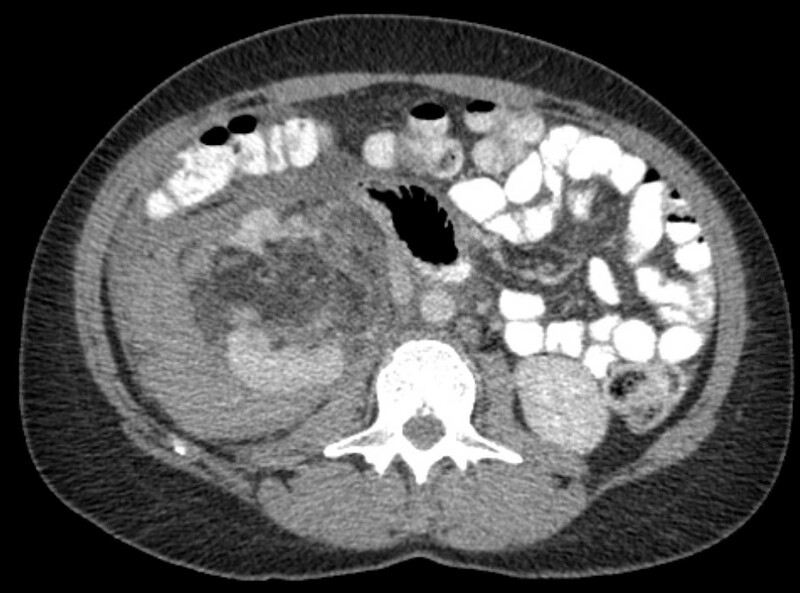 This represents a large bleed from an angiomyolipoma.